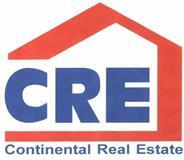 Courtesy Of Continental Real Estate, Inc.
New construction. Finished and ready. Beautiful quartz counter tops throughout. In-floor heat on main floor. Large kitchen, open floorplan. 4 bedrooms on one level. Wonderful master bedroom suite! Roomy triple garage is insulated/sheetrocked. Yard is landscaped and seeded. See it, buy it, love it! This is a one-stop real estate website for all your home buying and selling needs in Dickinson, ND.